Published Bestsellers: Ronald Ooms' Silver Eagle has been featured in the Southern Maryland Newspaper. Ronald Ooms' Silver Eagle has been featured in the Southern Maryland Newspaper. 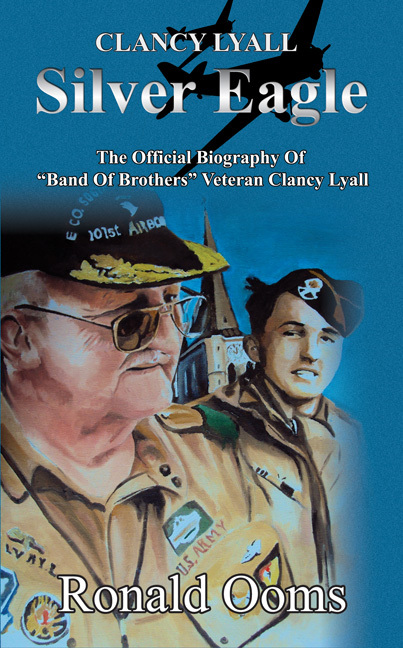 Stories like those of World War II veteran Clancy Lyall should never be lost, according to author Ronald Ooms, who recently published a book about the former “Band of Brothers” soldier. Lyall, who died last year, was known for his lifetime of service, which began as a teenager when he lied about his age to enter the military and parachuted into combat in World War II. He was post commander of Veterans of Foreign Wars 2632 in California and a champion of Veterans Day observances in St. Mary’s County. He spearheaded an annual Veterans Day parade that went through Lexington Park in the 1970s, before it moved in 1993 to Leonardtown. Lyall helped in the creation of a U.S. Colored Troops memorial in Lexington Park, which was unveiled last year. While the book does not cover his time after the war, including his love of sharing his stories with children, it presents his recollections of an era now long ago. The book, “Silver Eagle,” is written as if it were a first-person narrative from Lyall and recounts many of his wartime stories, along with a chapter about his early years. Ooms, who lives in Belgium, said the way he produced the book was he would write a chapter, send it to Lyall for his edits and then make the changes. Lyall’s widow, Isabel, said she enjoyed reading the book. “I thought it was like talking to my husband, like he was sitting across the room in his easy chair,” she said. Isabel Lyall said her husband led an interesting life and had lots to tell. “It’s like hearing the stories all over again,” she said. Their son, Arthur Lyall, said the writings sounded so much like his father that at points it was tear-jerking. There were a few wartime stories that he had not previously heard from his father. “It was a great book,” he said.